Stopped by my favorite soldier store in Gettysburg last week, Gettysburg Miniature Soldiers, and picked up a few ziploc bags o' soldiers from their bargain bin. Seven bucks will get you between 16 and 20 soldiers, recasts of Marx, Imex, Timpo, and others. If you want a variety of poses, well then, it's a good thing that these bags are transparent, especially when it comes to the Timpos, which have only four poses available. This post will explore the vast range of quality between currently available toy soldiers and miniatures as well as provide a peek at some really georgous toy soldiers from long ago. Hey look everybody, big surprise, it's Conte Collectibles! Though not up to the quality standards of the newest generation of Wm. Britians figures (don't bothering arguing on this one), Conte Collectibles has some of the best and priciest "miniatures" on the market. Why even the name says they're collectible! So I guess it's "hands off kids! these are daddy's 'special soldiers', just for daddy to look at". Even the box warns: "Adult collectibles. Not for children under the age of 12". Sort of makes one wonder what other types of "adult collectibles" daddy has tucked away in his den. This is a club to which I do not care to belong. First - I don't have the money, Second - I prefer soldiers that wash off easily after a battle in the herb garden, and Third - they don't drop well. But they sure are gorgeous figures. as this close-up confirms: Ooh, detail you can almost smell. This is really quality work, no doubt about it. So, I think these very well made, very well painted, very well packaged (and how), and very well marketed pewter Conte figures are very nice. This set entitled "Hand to Hand Vignette #4" (ooh "vignette" no less) that a friend gave me as a gift I'll soon be unloading on ebay for some bucks, so that's all very fine and wonderful. But isn't it ironic how totally vulnerable the high-end guy is when confronted with the unwashed masses of the Timpo recast bargain brigade? These hillbillys got that blue-belly dead to rights! It was especially fun to put this highly detailed, highly priced, and highly collectible Confederate out of his misery (Indiana Jones style) with this crudely cast (and probably ill-mannered) Timpo Yankee officer with a six-shooter. How the mighty do fall. These Timpo guys have nothing in common with the high-end Conte guys save for the time period. While the Timpo repop is simply preparing the way for another "unknown" soldier ("Known but to a plastic God" shall read the monument). Is that a pony-tail or simply flash flappin' in the breeze back there? Trying to remember how to make a "hollow square" guy. Casting is crude, anatomy is poor, poses are limited, and quality varies (some of these guys are heavy on the "flash"
But, that being said, if you're just looking to fill out your ranks with new recruits these cheepie baggies are the way to go. Heck, isn't that what keeps BMC in business? If your armies are large enough (and mine's getting there) sometimes you just need, in bulk, little not-so-warm-bodies to fill the ranks as cannon fodder, and that's the destiny of these little Timpo recasts. This beautiful cossack figure is a two dimensional cut-out. 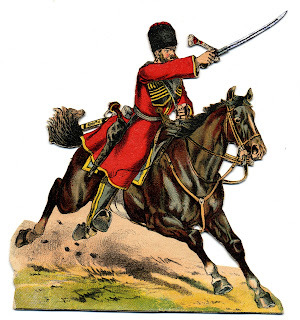 A form of toy soldier popular from the turn of the last century right through the Second World War. McLoughlin Bros. was a major litho company that put out scads of paper toy sets, including soldiers. Shortly before I left the snow-swept steppes of Michigan to relocate in Maryland, I purchased (for a song) about a hundred of these McLoughlin Bros. paper Franco-Prussian War soldiers, each on its own little wooden base. I've since auctioned about half of them (doing very nicely, thank you), but I scanned each before letting them go so as to be able to recreate this little 2-D army during the winter months here. The detail and rendering of these soldiers are fantastic (be sure to click on the image for an enlargement). Here's one of my favorites: A Prussian Krupp gun detatchment. As I continue the slow process of restoring these paper figures (using archival materials) I'll eventually have enough of them to post as a profile on this blog. See you on the fifteenth of the month (or perhaps sooner) with more Toy Soldiers - Forever! What follows is a fictional piece of writing from Toy Soldiers Forever! Greenbrier Maryland was once nestled on the western shoulder of South Mountain overlooking early Boonsboro. Although no longer an incorporated town (absorbed in the 1920s by San Mar MD), Greenbrier in the 1860s was a tiny farming settlement at the junction of Greenbrier and Mountain Laurel Roads. Though diminutive, Greenbrier was a prosperous settlement, known for its fat hogs, generous farmers, and delectible watermelons. Greenbrier crossroads in idyllic peace and agricultural abundance. A hog drover prods his porcine procession past the tiny blacksmith jobber's shop toward the intersection with Mountain Laurel Road. Farmer Farhney pragmatically sets out toward nearby Boonsboro in hope of securing a young bride from the charitable home for fallen angels. Unbeknownst to farmer Farhney a clash of arms is soon to threaten his life of predicable delusion. The machinations of Mars are visited upon this bucolic bower. The tiny village had very few brushes with the with the disturbances related to the American Civil War, most notably during Lee's 1862 Maryland campaign when the town changed hands twice. The first time when rebels retreating from the Battle of South Mountain paused long enough to denude a watermelon patch only to encounter Pennslyvania troops at the opposite end with similar designs. Although the Yankees emerged victorious, Union General Nagle misplaced his Mexican War era sword somewhere in the vicinity, reported by more than one wag as last being seen lodged deep within a ripe melon. 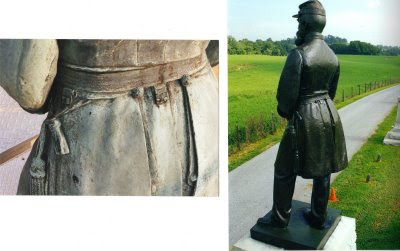 It is a matter of note that a statute honoring said swordless general stands today at the Antietam Battlefield. Noble Nagle sans blade, perhaps pondering a bygone melon patch. 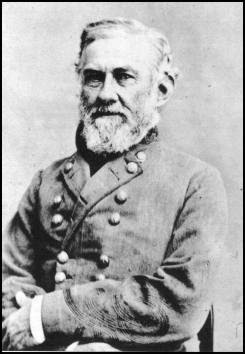 The second encounter was in July of 1863 during Lee's fighting retreat from Gettysburg. A freebooting Confederate battery, acting without orders, strayed from the main Williamsport-bound rebel columns and struck toward Greenbrier owing to recurrent and reliable reports of that aforementioned melon patch. Upon arrival in tiny Greenbrier, the rebels found themselves enjoying two feasts that day. The first involved their ill-gotten bounty of melons, and the second was precipitated by he arrival of an understrength regiment of Indiana infantrymen, marching straight into range of the masked Confederate battery. The foraging Federals found themselves blissfully ignorant of the threat that lay just east of the little crossroads village of Greenbrier. Unit cohesion in this Federal unit was not good owing to the men coming from a wide variety of Indiana Counties including: Marx, Imex, Italeri, and the very backward Americana County. Many of these men were so-called "recasts" soldier slang for slovenly in appearance and unsoldierly in conduct. Despite the best intentions of their veteran noncoms this polyglot assemblage was about to come off tragically the worse for wear upon their first meeting with the storied "elephant". Here then, in images, is in all of its terrible detail, a thrilling recapitulation of that brief but vicious action. The faint of heart may well wish to avert their eyes as well as those of the curious young. The rookie Hoosiers approach Greenbrier crossroads from the west, in suspicion of nary the least of difficulties. Owing to their pronounced paucity of experience as well as their convivial complacency at being in known friendly territory they have posted neither skirmishers nor have they reconnoitered the road ahead. All to their bitter detriment as we shall soon behold. Lying in wait outside of the village is that peripatetic battery of rebel guns gleeful of the opportune target with which fate has gifted them. Here a stalwart Conte gunner mans the recently reviewed BMC/Americana Parrot gun. Typical of the aloof and always professional Conte batteryman, he devotes his attentions solely toward the enemy, leaving ridicule of the poorly cast nature of his comrade in arms to those less genteel and more jocose in such matters. Only a few more yards and the unsuspecting and drowsing hoosiers will be awakened with the alarm that is cannister. A passing crow, not indifferent to the impending outcome (for obvious reasons of great indelicacy) achieves this telling view of the building situation. Gray gunners wait with bated breath, their mixed battery loaded and ready. The imported and untried Whitworth pencil sharpener gun at the battery's left (the viewer's right) is slightly sub scale and not favored by this particular battery, owing to its propensity to be dragooned for clerical duties with the headquarters company. Intrepid rebel gunner's take a calculated risk. Knowing that their opening volley will unmask their position the order is called for case shot at a mere 300 yards, the fuses being cut at scarcely the half second mark. The risk to the gunners is near as great as that to the targeted victims. Oh happy day for the gray-clad gunners as the deadly case explodes directly above the advancing Unionists. Casualties and calamity combine with cacaphony. The ball has opened! counter attack by the forces of emancipation and Union! Those Lincolnists who have regained their composure and professional elan quickly follow a gallant major who leads a forlorn attempt to capture the rebel guns in the lenghtening evening shadows . Despite this momentary rally among the neophyte Federals, they are no match for the double cannister rounds launched at point blank range, by the skilled and sagacious southrons. More than one northern family will be familiar with the strains of "The Vacant Chair" before merciful darkness brings this carnage to an end. The last that was seen of the gallant major was as he vanished , with his men in an angry cloud of Confederate smoke. With the breaking of this forlorn hope the few survivors among these green Hoosiers took to their heels, managing to avoid the disgrace of losing their colors. They beat a hasty retreat as an all-concealing darkness fell. During the night the detatched Confederate battery limbered up and discreetly rejoined their main column as it crossed back into Virginia with the rest of Lee's retreating columns. And as the sun rose the following morning the crossroads of Greenbrier were littered with the dead and the piteous dying. Wounded men, aided by the few able-bodied Hoosiers that remained behind sought shelter within and around the Keedy home, soon to be both field hospital and impromptu mortuary. Army amublances transported the wounded to establshed aid facilities as the less injured sought shade and recounted the tales of their survival. Surgeons toiled for three days as the heaps of limbs grew higher by the hour while the hopes of distant families grew fainter with each of those passing hours. Many of these survivors have seen their last battle, others will have future opportunities to further the glorious cause as members of the Veteran Reserve Corps, scarred, perhaps in body, though not in their patriotic zeal for the Union. Hiking in the area of the former battlefield, and settlement of Greenbrier, one can scarcely realize the magnitude of events that touched this forgotten crossroads on that July day 145 years ago. Only two structures remain, both long abandoned and caving in. These decaying buildings, an old foundation and some tumble-down stone walls are all that's left of this once prosperous little farming crossroads. This house is believed to be that of farmer Farhney, the optimist in search of a bride so long ago. The other structure is reputed to be the last remaining outbuilding of the old Keedy place. The land is now part of Maryland's Conococheague Mountain State recreation area, closed to metal detectors, ghost hunters, and other such juvenile thrill seekers. To this day the location of the battlesite itself remains one of the most closely guarded secrets held by the residents of this very friendly though tight-lipped region. So don't even bother looking. And remember, you didn't hear any of this from me. BMC takes aim at improving its artillery line with this new package of four guns and twelve men. BMC figures are, in my opinion, at the very bottom of the toy soldier food chain, as are their previous attempts at artillery. BMC has set the industry standard for lackluster sculpting, dreadful animation, clumsy casting, and just an overall amaturish look to their figures. 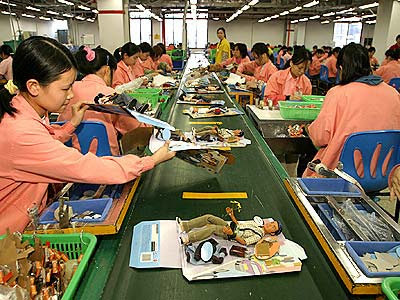 Welcome to "made in China". Some times its difficult for the political prisoners who manufacture these cheap figures to maintain the same passionate attention to detail that I'd prefer. Go figure. That being said, this bagged set brings a small (really, really small) ray of hope into the gloom that defines BMC soldiers. with its flimsy wheels, detail-free trail, and doughnut-like muzzle swell (right). This Parrot almost begins, sort of, to approximate the look of the real thing. Man! how's that for qualifiers? Details include the prolonge, carriage bolts, and the characteristic breech welt of the Parrot gun. The carriage is much beefier than their earlier attempt. Sadly, the wheels are still pretty flimsy. Still this effort represents a quantum leap forward for the modelers at BMC. A close-up of the details that make the difference. There are twelve figures that come in this set, six different poses, six blue, six gray. Although, generally, the sculpting is down to BMCs usual low standards for figures, the poses are markedly crisper than earlier generations of BMC troops. This soldier with the short pair of binoculars is the best of the bunch with that new crispness of this BMC offering. Note both the detail of the belt, buttons, and folds of material. This is a much higher level of sculpting than available with earlier BMC troops. Also the flared coattails provide a little more animation than usual. Okay, here we are, back in familiar BMC territory. Check out this absolutely goofy animation. What exactly is this man doing? His expression of concern would be more appropriate if he were holding a python rather than a very poorly sculpted prolonge rope. Though I shouldn't poke fun, life can't be easy for a man with biscuits for buttons. The animation here is equally stilted, and what's the deal with the missing end of the sponge rammer? No, its not just this one, the Yankee version has the same problem. It strikes me that some of these new artillery poses would work in other vignettes, such as prisoners (BMC makes an Andersonville set), wounded, or camp fatigue life. This guy as a prisoner looks like he's doubling over and heading for the sinks. Still a nice figure for casual fatigue duty. He could even pass as a civilian or a teamster. This fellow is shouting that he can't hear you. "Howzat? Eh? Speak up! durn it." Too much time around the guns with no ear protection. 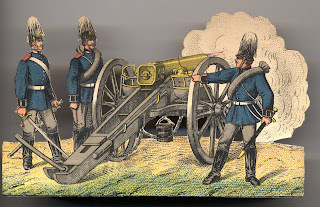 This somewhat nicely sculpted and very compact artilleryman mistakenly went to the limber chest for the thirty pounder, that projectile is way too large for the muzzle of his ten pound gun. four pyramids of balls (for smoothbores only) accompany these (rifled) Parrots. And even so, the balls are also way too large for the muzzle of the gun. Uh-oh, looks like William Pendleton is back in charge of Confederate artillery. Now here's a very short video of not the ten pound Parrot but the 12 pound light gun howitzer, the Napoleon. I hope you enjoy it. All things considered, there are more pluses than minuses with this new BMC/Americana offering. The guns are improved, the figures are sculpted with somewhat more detail and animation and provide some diversity of use. I'd recommend you pick up a bag and lets all hope that this tiny incremental improvement represents a trend with BMC. As always, I invite and welcome your comments, questions, and corrections. See you again on August 1st.